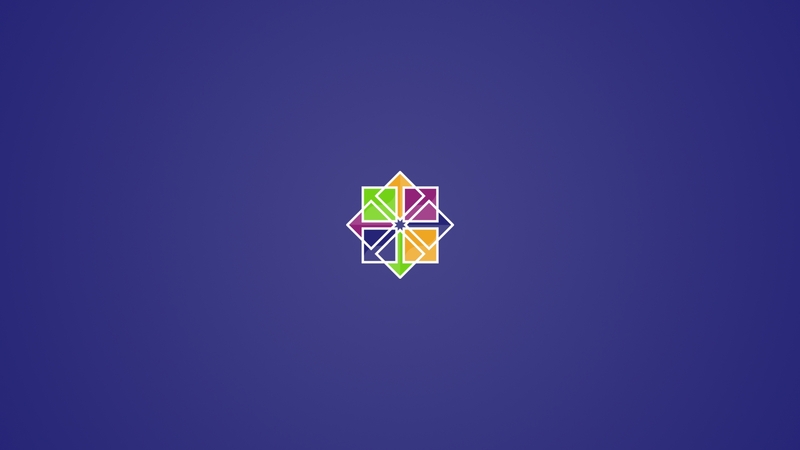 Grab your favorite CentOS version (either the full DVD ISO or the minimal will work) – these instructions use version 7. Then prepare the USB media (or burn a disk if you still prefer the old-fashioned optical media way). Plug the disc into your system and boot from it. 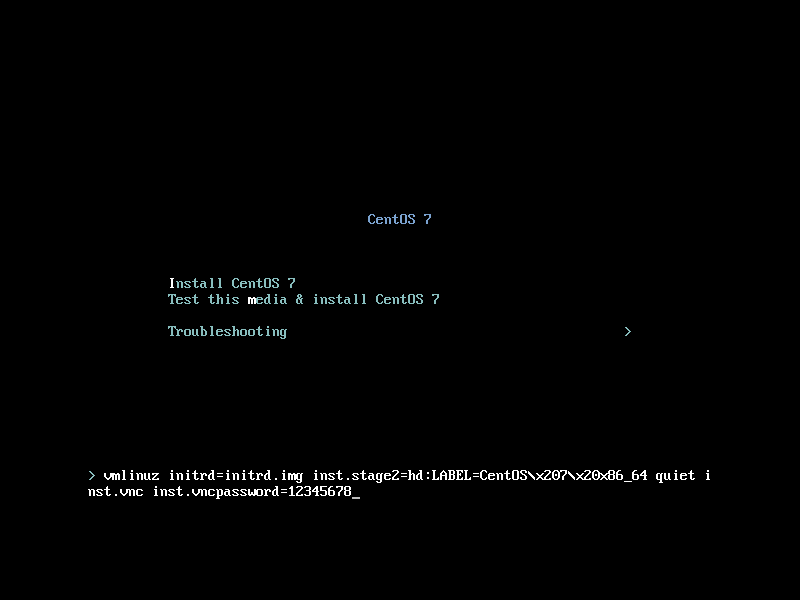 Press Enter to boot and wait for the installer to start. 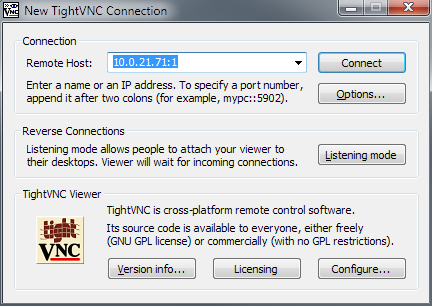 You can now connect to your server remotely using VNC. Use the IP address provided by the installer and the password you specified earlier. 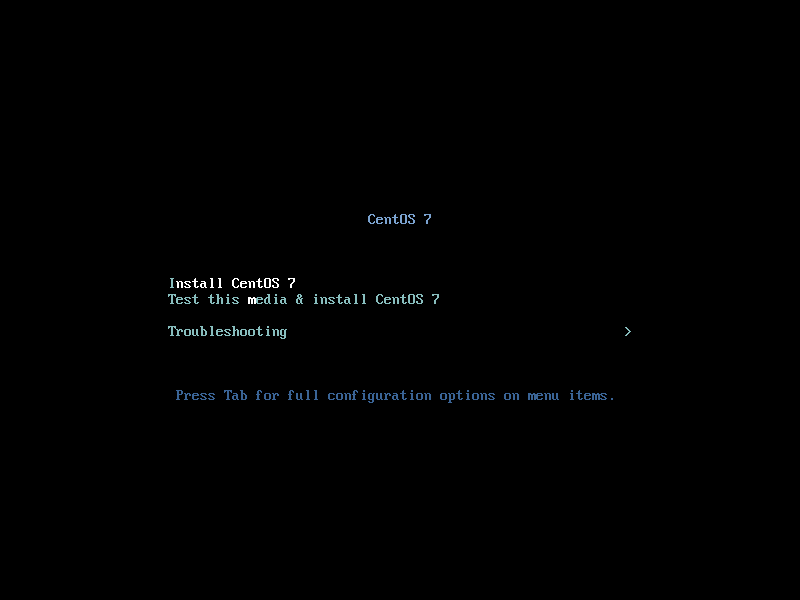 Follow the installation steps like you’d normally do locally.